At this point, everyone is familiar with Awesome Games Done Quick. Every successive year, the marathon brings in not only more money for charity, but also more viewers who have never seen speedrunning before.  It's almost tradition that following the event, speedrunning forums, chat servers, and twitch channels are swarmed by users all asking the same question: "Hey this speedrunning thing looks fun, how can I get involved too?" We want to provide this opportunity. Every Saturday from Jan. 17th - Jan. 31st, we are going to host a race of a competitive yet newbie-friendly game. Each race is open to anyone who'd like to enter, whether they are the record holder or have never touched a controller before. Goal clarification: Start on title screen, .done after door entry following Bowser. Rules: Allstars version is allowed. No using whistles (but you can collect them). Glitches banned: wrong warps. Goal clarification: Start on char select screen after file entry. .done after touching Master Sword. Rules: S&Q allowed. Glitches banned: EG, YBA, OoB. Goal clarification: Start on title screen, .done on screen fade to black after final boss. Rules: No S&K cart. Zips allowed. Stage select allowed to return to your last stage. Stage select: At the title screen, select Options. Highlight Sound Test then play the following music and sounds: 19, 65, 09 and 17. You will hear a ring-collecting sound for correct code entry. Then press START to return to the title screen. Highlight 1-Player, hold the A Button and press START. 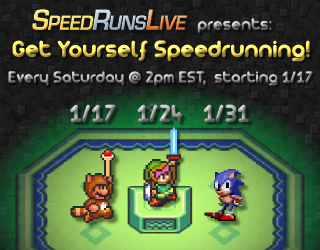 Join the Get Yourself Speedrunning races every Saturday from Jan. 14th - 31st @ 2pm EST / 7pm GMT, and help to make them as big as possible!